Life is short.. Eat Cake! Large selection of to go cakes readily available or order a custom cake! Iced Pound Cakes available in store daily for pick up or order a custom cake! 3rd Generation, over 15 varieties to please everyone! Lochel’s Bakery specializes in Decorated Cakes for All Occasions! All of our cakes are made fresh daily from scratch using only the finest ingredients. Lochel’s Bakery can create the Wedding Cake of your dreams. You’ll be happy to choose from a large assortment of cakes in our books or bring us a picture of your dream cake and we’ll be happy to go over the details of it with you. 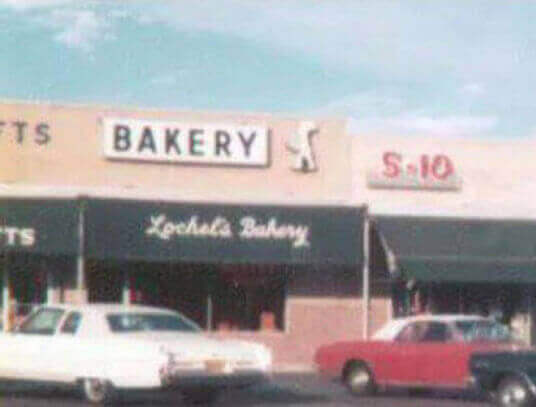 Since 1942, Lochel’s Bakery has strived to make the finest and freshest items using only quality ingredients! Whether you're looking for traditional items or a heavenly dessert, we have it all! Lochel’s Bakery, a 3rd Generation of baking, was started over 75 years ago in Philadelphia. The bakery relocated to Warminster, Pa and then to Levittown, Pa before our present location in Hatboro, Pa. Read more about our history here. Lochel's happened to be the bakery that was included with our reception package at Spring Mill. However, we have lived in the Hatboro area our whole lives and used them for bridal shower and baby shower cakes over the years. They never disappoint! Their new little tasting room is adorable. Everyone I have dealt with at the store has been great! I was so happy that they were the bakery attached with spring mill! We were in a bind, the bakery that made our wedding cake promised us a fresh top tier for our first anniversary, sadly they closed. In steps Lochels to save the day! We ordered a lemon pound cake with buttercream frosting and raspberry preserves in the middle, this cake was delicious beyond imagination. It was dense yet not heavy, moist yet flakey. Absolutely the best cake I've had hands down. Will recommend Lochels to everyone I know. I just want to say thank you to the Lochel family! They go above and beyond with every cake that I order (and I order quite a few a year!) It doesn't matter if I need a certain design or tell them they have creative freedom, the cakes are GORGEOUS!!!!! Not only are they pretty, the cake flavor choices (if you choose a pound cake) is amazing. I've never seen so many options. I won't even get into the cupcake options. Seriously, try them if you haven't. You will NOT be disappointed! I've had the pleasure of working with Lochel's Bakery on several fundraisers for our school. Every experience has been wonderful. The cakes are always fresh and taste so good. Contact them, you won't be disappointed! 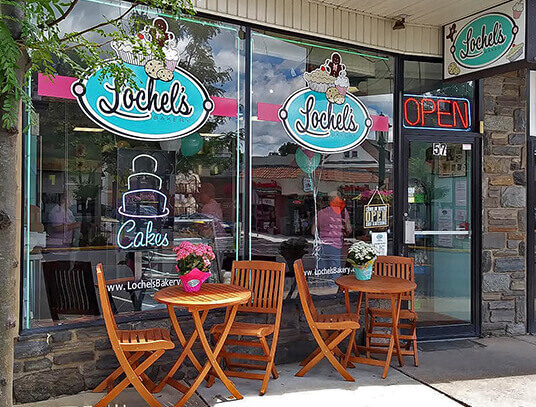 Follow us on social media or sign up for our newsletter to stay up to date with all the latest happenings at Lochel’s Bakery! © Copyright 2017 Lochels Bakery. All rights reserved.